Grant Davis is rapidly becoming one of the premiere Castle builders out there. His latest build shows why. He has done more than master techniques. Grant has learned how to tell a story without words. The single picture speaks volumes and leaves the viewer wanting more. 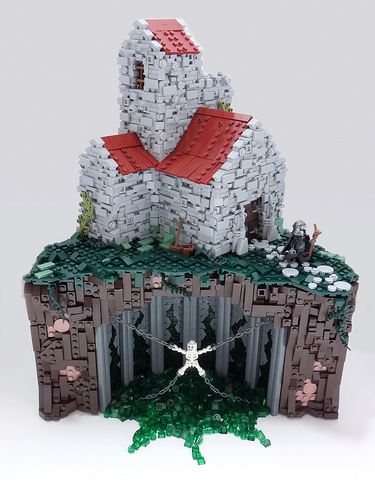 This particular build has a sense of the macabre that makes you step back and a sense of mystery that pulls you back in. It’s very well executed.